Living in a dry place like, Montana, means keeping my hair and scalp moisturized is extremely hard. I already have dandruff from my scalp being extra dry in general, and moving to Montana has made it an extremely tough journey to find products to keep my hair and scalp moisturized. I started using the Shea Moisture product line in August of 2014. My daughter was almost two months old at the time, and wearing my hair naturally was so much easier than keeping it straightened. Being able to hop in the shower, add some product, and go on about the day seemed to be the ideal way to save time on my hair. 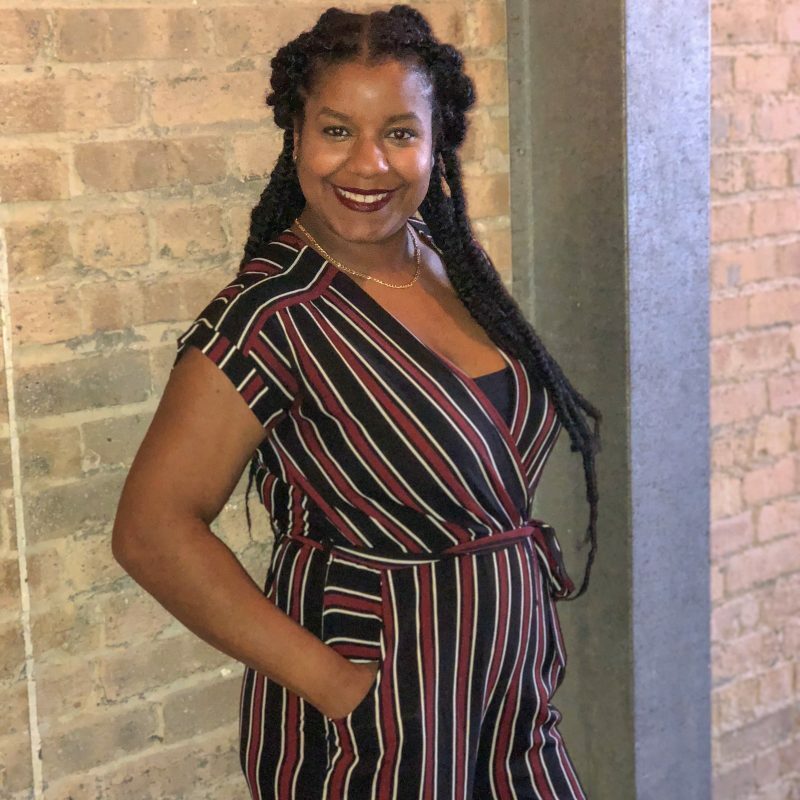 My best friend, Kelley, was on her way to visit me the same week I decided to go this route, and I asked for her guidance on getting started, because she had been on the natural hair journey for a few years. (I guess I should add I’ve been “natural” in the sense of not putting perms or relaxers in my hair since August of 2007). Kelley took me to Target and bought (she’s the best) the raw shea butter line for me to get started with. Although I liked the way it moisturized and smelled, it didn’t last longer than a few hours in the moisture department, and my scalp was still extremely dry. Well, fast forward almost an entire year later, I decided to give the African Black Soap line a try since it mainly concentrates on dry hair and scalp. In one sitting I use the: dandruff control pre-poo rinse, dandruff control hair masque, deep cleansing shampoo, and dandruff control conditioner. I use it in the exact order I listed them. The picture on the left is what my hair looked like after I put the dandruff control pre-poo rinse and dandruff control hair masque in my hair. I then put a plastic shower cap on my hair for 20 minutes to let the pre-poo and masque moisturize before getting in the shower, and shampooing my hair with the deep cleansing shampoo. The dandruff control conditioner can be used as a wash out or leave in conditioner. I chose to use it as a leave in conditioner. The picture on the right is what my hair looked like after I applied the conditioner and combed it through my hair. I put my silk bonnet on before bed and waited for the results. I did this same process a few more times to be sure the results were consistent. Pros– These products definitely kept my scalp from being flaky with dandruff, and that is what I was ultimately going for. It takes a few products and steps to moisturize my scalp, but it is completely worth the extra time and effort. I also LOVE the smell of this African Black Soap line. The leave in conditioner is my favorite, which is perfect since it’s the last product you put in your hair. Cons– Although my scalp was moisturized I didn’t get the same result for my hair. My hair wasn’t dry by any means, but it also wasn’t as hydrated and moisturized as my scalp was from the products used. However, the biggest con to me was how sticky my hair felt from the conditioner. It almost felt weighed down from the leave in conditioner and was hard to style because of it. Overall, I liked the product and will continue to buy it for ridding my scalp of the dandruff. However, I plan on finding another leave in conditioner to use after using the other products. I will probably use the dandruff control conditioner as a rinse out, and use another product for the leave in conditioner. I have recently started using the Jamaican Black Castor Oil line from Shea Moisture, and will write a review on the shampoo and leave in conditioner after using it for a few weeks. 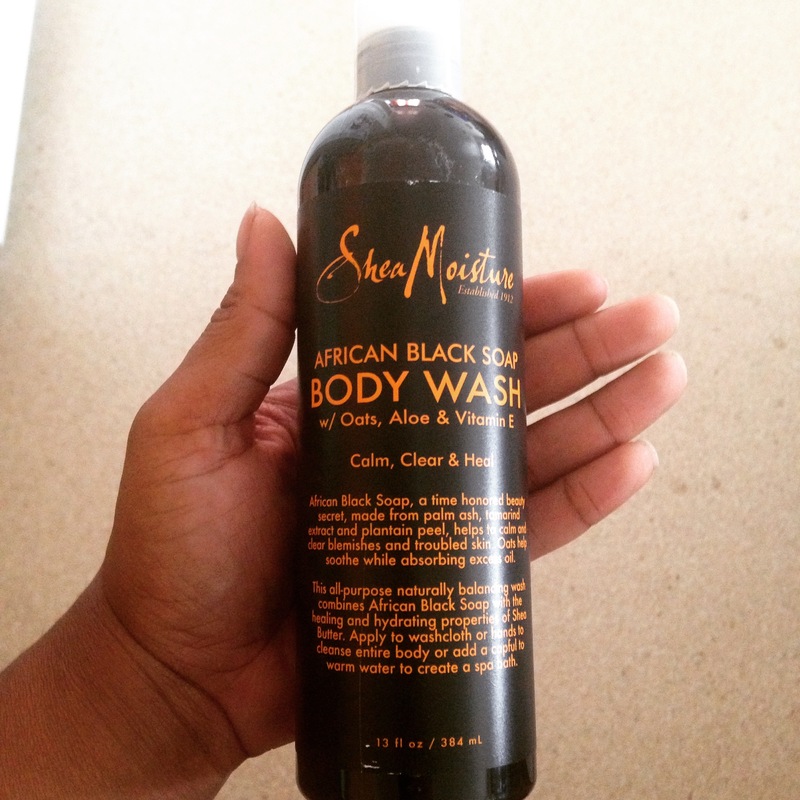 An added bonus: I have recently started using the liquid African Black Soap Body Wash, and I love it so far. My skin doesn’t feel dry or “tight” from dryness after using the soap. In combination with my baby oil it’s perfect for keeping my skin hydrated. If you asked me is the African Black Soap Shea Moisture line worth the money? I would tell you, yes it is. That’s funny you posted this because I just bought the Shea Moisture Curly shampoo and conditioner. The reason why I bought it is because in May I bought the Shea Moisture curly for Kids. It did very well on Jordans hair and even made it grow! The smell is fantastic and I even started using hers lol. I didn’t want to use all of hers so I bought my own. The smell doesn’t smell as good as the kids, however it still does the job. I love this line! I want to try the other products as well! It’s worth it! Thank you for posting this. I may have to try this one too!